Back in October of 2017 a new anime series, Black Clover was released. Based on the manga of the same name, created by Yuki Tabata, Black Clover focuses on “a young boy named Asta, seemingly born without any magic power, something that is unknown in the world he lives in.” After resisting I finally decided to check it out. My opinion after the first episode is that it’s okay. I can’t really pinpoint why I wasn’t excited about this series. I love shonen, most of my anime diet consists of the shonen genre. I wouldn’t characterize Black Clover as bad, but too familiar. 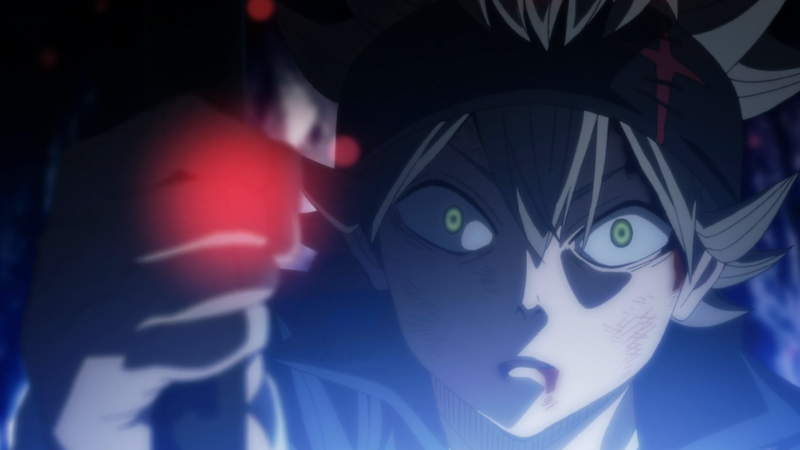 Asta’s dream is to become “Wizard King,” sound familiar. In One Piece, Monkey D. Luffy is searching for “the one piece” to become the “the Pirate King,” and in Naruto, Naruto aims to become the Hokage (top ninja of the leaf village). 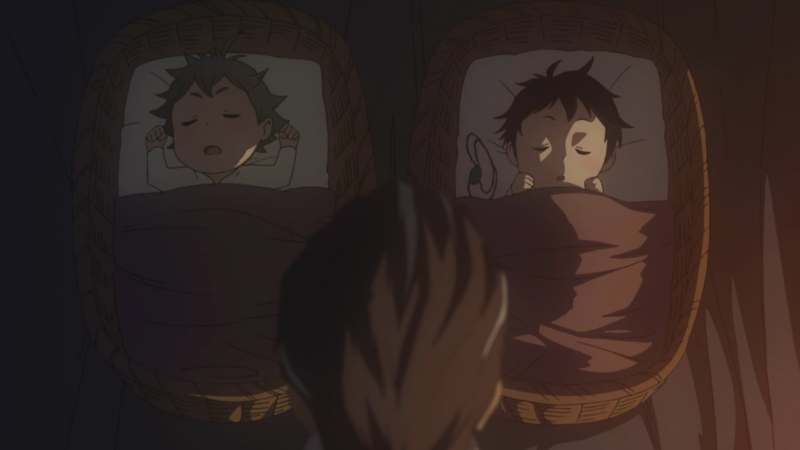 Also like Naruto, Asta is orphaned and has a Sasuke like rival (Yuno). Yuno is a magically prodigy, he’s calm and emotionally muted. 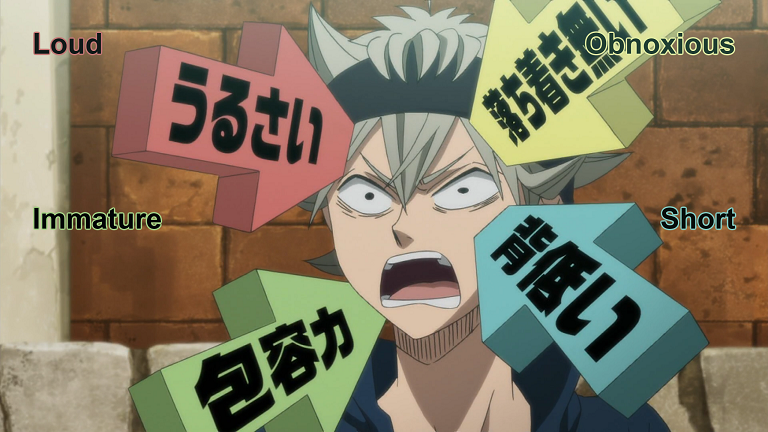 Asta is loud, silly and immature as a result he’s underestimated, teased and generally disrespected by the villages. Having common troupes as other series is not in and of it’s self a problem, My Hero Academia is similar to all the mentioned series. I will say that I found Asta to be funny, but annoying. However, at one point in this episode he’s seems defeated and I start to feel sorry for him. Yuno’s grimoire attracts the attention of a thief, who ambushes him to steal his grimoire. 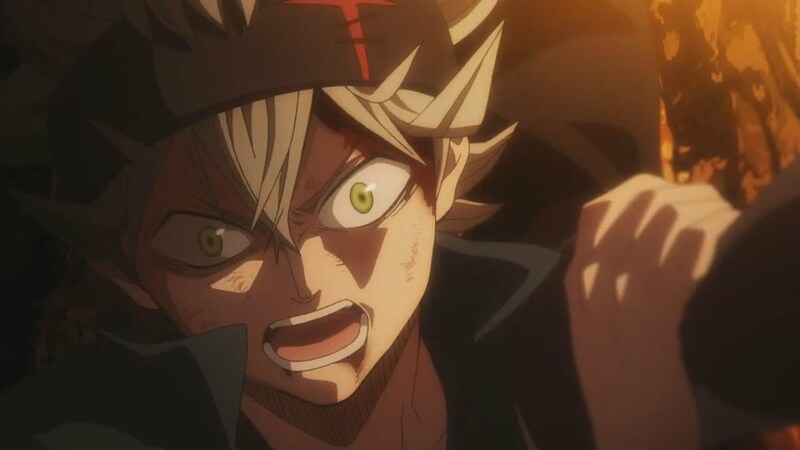 Asta comes to rescue him and is quickly defeated. 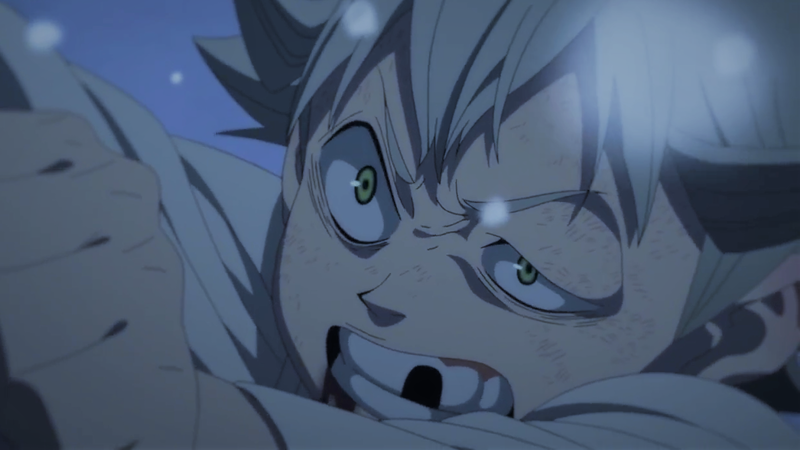 It’s in this moment Asta seriously considers giving up, however, Yuno claims him as his rival. 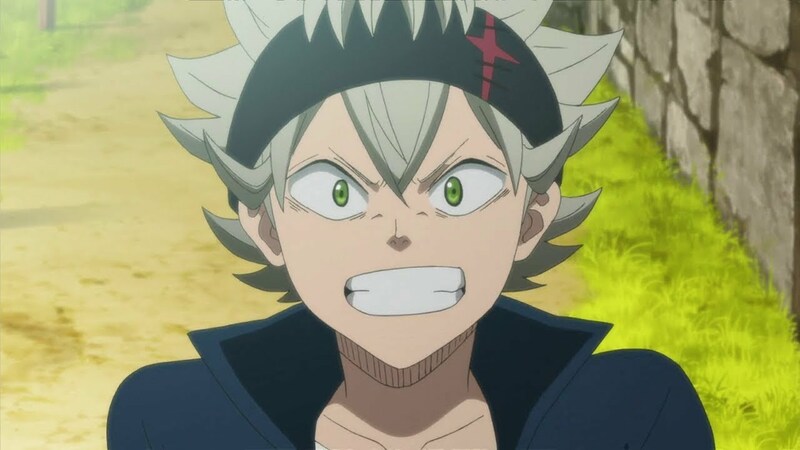 Asta somehow manifests a “Five Leaf Clover,” in Black Clover the Three Leaf Clover represents Faith, Love, and Hope, the Four Leaf Clover represents Faith, Love, Hope and Good Luck, the Five Leaf Clover becomes interesting as it represents Faith, Love, Hope, Good Luck and also resides with a demon. It sounds that I disliked the series or at least these episodes, even though episode two is large a flashback I didn’t. I’m not sure why noticed the troupes in this series where I really didn’t with say My Hero Academia. What’s interesting about this series is the fact that Asta has NO magically abilities. Deku from My Hero Academia didn’t have a Quirk, but neither did All Might. Asta is apparently the only person not to have magic. Of course he isn’t without a means of battle now that he has the Five Leaf Clover. Asta’s grimoire turns into a sword and has the ability to nullify magic, this is interesting considering how important magic is. Will Asta remain an outsider, now that he has the means to nullify the most important resource in the world? I found him annoying as well especially with all the yelling, but Naruto was like that early on in Naruto. I’m hoping that I’ll develop a tolerance for it. I would be obnoxious too if arrows kept hitting my skull. Good, I’m going to keep watching. I hope so. I think I will like this anime if I give it a chance. So I will be watching more of this series.